Lock in a great price for Hotel Castille – rated 8 by recent guests! Everything!! The persons on the reception are very nice and very helpful. 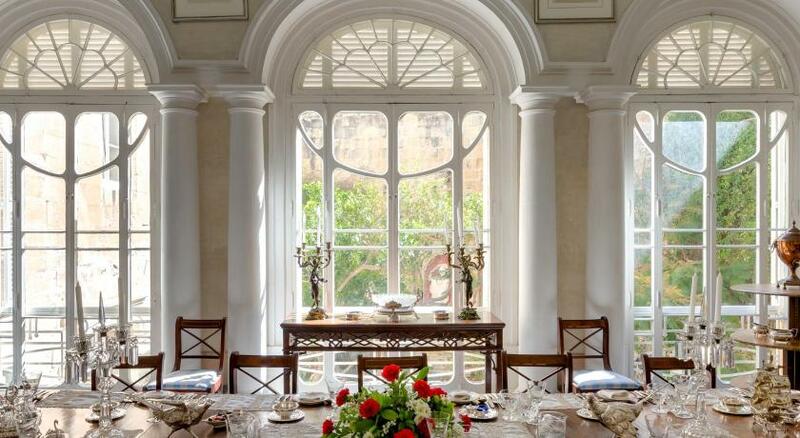 The Hotel Castile is a very elegant vintage hotel in the heart of Valletta. It has amazing views from the rooms as well as the excellence rooftop restaurant. The rooms are small but comfortably furnished with vintage pieces to compliment the ambiance of the hotel. We had a lovely balcony with spectacular views of the harbor. The breakfast on the rooftop is excellent with many choices and the beer cave below looked lively and fun, especially for young people. We were steps away from the panoramic views of the Upper Barrakka Garden and an easy walk to St. John’s Cathedral, shopping and restaurants. I would definitely stay again! Location is great. Nice view from roof terrace. Staff ok.
View of the square. Comfy beds and pillows. Clean. We liked everything in this hotel: location, atmosphere, rooms were clean, cosy and quiet. everything was very close in 5-10 minutes walking distance. Personal was exclusively helpful and friendly. The room had everything we needed. Restaurant is on roof with beautiful view. Very pleasant staff. Great location, super close to the bus station. Staff was polite and professional. I had a single room which was small but had what I needed for my stay. Breakfast was delicious. I had Dinner at the hotel one night and the food was very good. The waiter was extremely nice. I will come back to this hotel in Valetta!! Location is good, but nothing else. Very run down; lights are out; dark; depressing; smells of sweet rot. The building exterior seems newly painted to give a good impression, but the interior must not have been renovated since the hotel's construction. 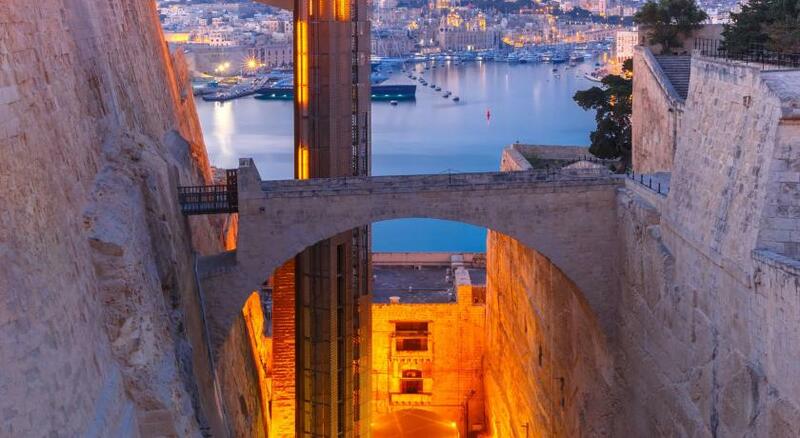 The location is the best asset; you're in the heart of Valletta facing a very nice square, and very close to many historical, cultural and shopping attractions. I also liked the building's exterior architecture as well as the interior ambience. The roof eating area had good views of the beautiful Valletta. My check-in was eventful, I was told at first that no room for me which was a big shock. Then I contacted Booking Customer Service, and with the customer service help, I got a room which was not bad. I would give a high ranking for Booking Custer Service, the customer service lady of Booking really saved my travel. The hotel is a very old one, but clear, well organized,, quite good location near to bus station. Hotel Castille This rating is a reflection of how the property compares to the industry standard when it comes to price, facilities and services available. It's based on a self-evaluation by the property. Use this rating to help choose your stay! 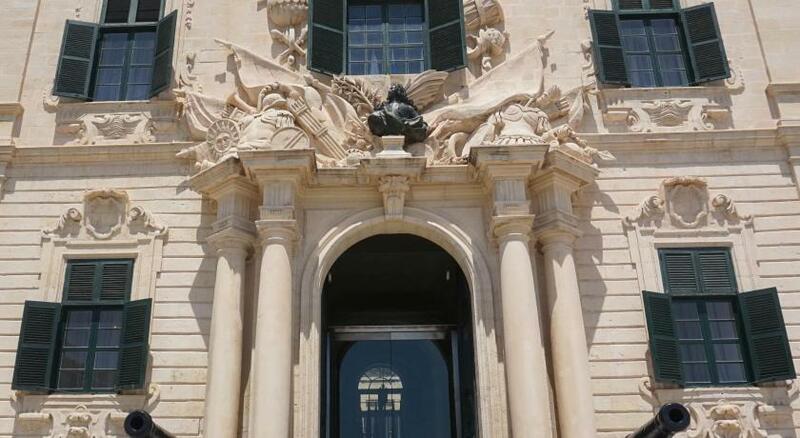 Hotel Castille is a 5 minute walk from the Triton Fountain in Valletta's main square. This 16th-century building features De Robertis rooftop restaurant and La Cave wine cellar and pizzeria in the basement. You will find quiet reading lounges on every floor of the Castille Hotel. It also has a coffee shop on the ground floor and offers views of Valletta and the Grand Harbour from its rooftop terrace. Rooms are air conditioned and feature a TV with 8 cable channels. They all feature a private bathroom, most with a bathtub. An iron is available upon request. A varied buffet breakfast is available each morning and includes fresh fruit, ham, cheese, eggs and much more. Valletta's main bus terminus is 5 minutes away by foot and has buses to Malta Airport. Sliema Ferry Terminal is a 5 minute drive away. 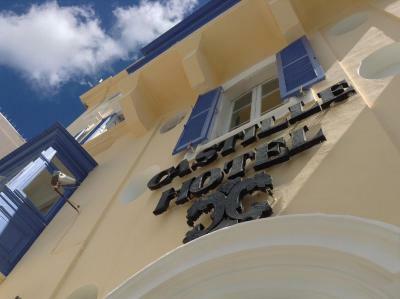 When would you like to stay at Hotel Castille? This room comes with free Wi-Fi and 8 cable TV channels. It has carpeted, wood or tiled floors and a square, street or partial sea view. This room has its own balcony. It comes with free Wi-Fi and 8 cable TV channels. The room has carpeted, wood or tiled floors and a square, street or partial sea view. This room comes with free Wi-Fi and 8 cable TV channels. It has carpeted, wood or tiled floors and overlooks the internal courtyard. This double room offers views to Copacabana neighborhood, air conditioning and mini-bar. 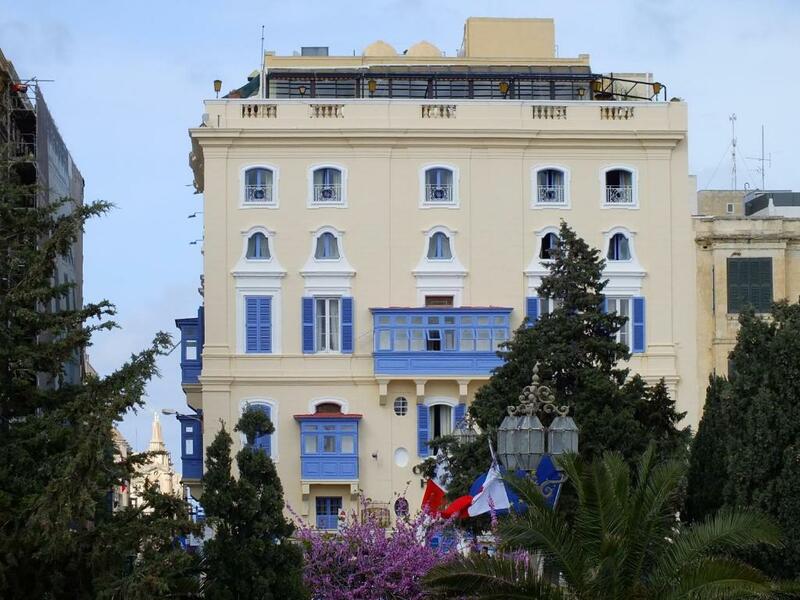 House Rules Hotel Castille takes special requests – add in the next step! Free! One child from 3 to 12 years stays free of charge in an extra bed. One child from 12 to 18 years is charged 50 % of the room stay per night and person in an extra bed. Hotel Castille accepts these cards and reserves the right to temporarily hold an amount prior to arrival. To much scented cleaning detergents used. A problem for persons with allergies to stron perfume. Very friendly and service-minded staff. Room was renovated and made a fresh impression. 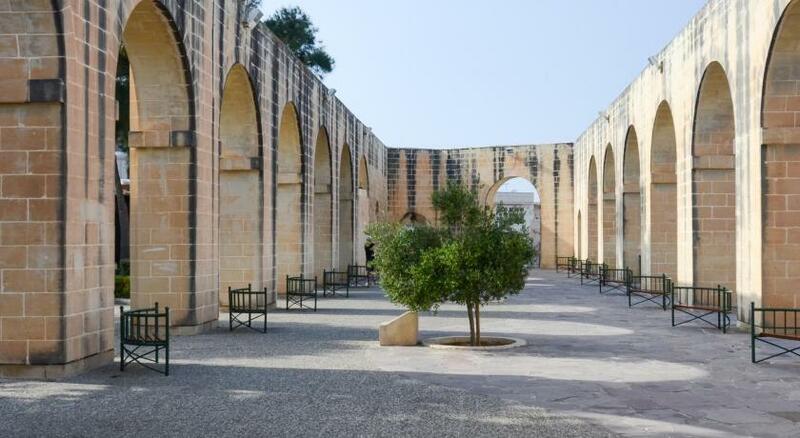 Perfectly situated for excursions in and outside Valletta. Old. Room had a weird smell. Messy in the hallway, I think they were redecorating maybe. The staff were very nice. Location perfect! All was more then perfect!! Note: This is not a quiet area! It is a lively square with lots of music, people and city traffic. 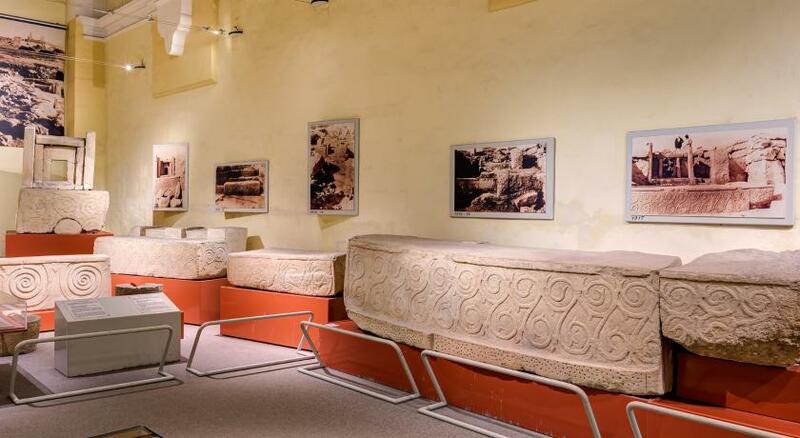 Because all of Valletta is mostly made of stone, sounds carry! Therefore, loud voices, music, cars and city noise can be heard in the rooms. However, with the double set of balcony doors closed and drapes pulled it did not keep us awake. I actually loved the vitality of the area, but if you require complete silence at night, (I at lease suggest earplugs) this may not be the place for you. The breakfast is served only from 07:30 thus if you are a business traveller and have a morning meeting , you simply cannot make it for breakfast. Location was perfect, and we used the left luggage facilities a few days before our booking in Valletta, so we could travel to Gozo without having to drag the luggage. Poor sound insulation all noises coming from street. Window did not fully close so it was cold. No sleep till 3:00 am. Not recommended if you want to have good rest. This hotel is amazing, it is located near to the Upper Gardens, the breakfast is very nice (inclusive buffet breakfast) and the view is beautiful. You can reach on foot the old town in 4 minutes, lot of terrace and resturants in the area. The staff is very nice and friendly. The only very minor detail was the size of the bathroom but given the age of the building this was not a big issue. A 16th century building in a perfect location. The staff were lovely and really helpful. It is excellent value for money.